Beautiful Villa in River Strand at Sanctuary! This 2 bedroom, 2 bath with a den almost 1600 sq. 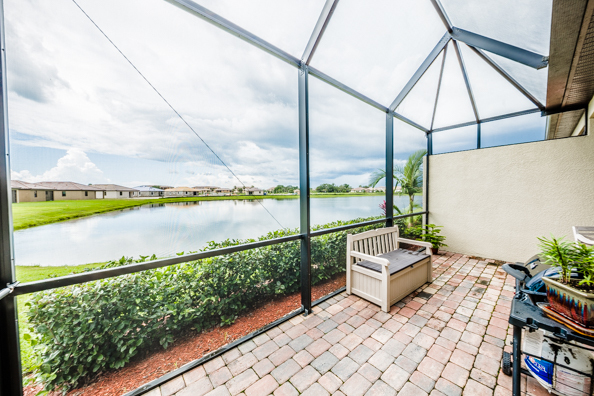 ft. under air, has tile floors throughout the main living area, carpet in the master bedroom, and wood laminate floors in the bedroom and office, crown molding, ceiling fans and light fixtures and an extended lanai with brick pavers. 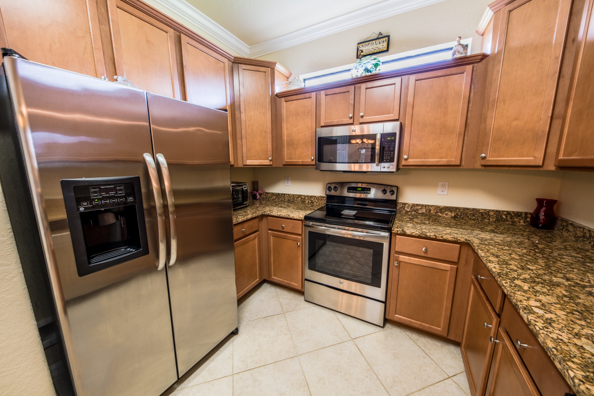 The kitchen has stainless steel appliances, granite counters and wood cabinets. 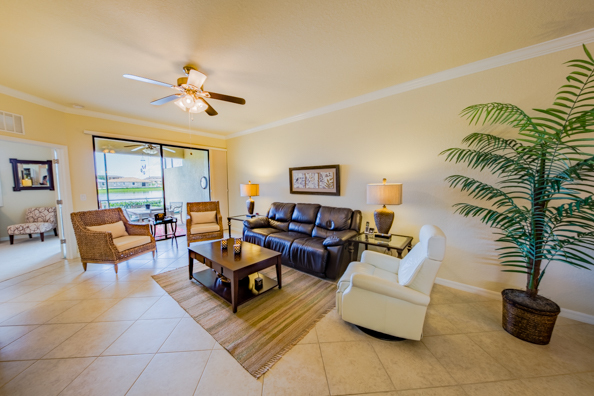 Not only can you enjoy your lake view from your lanai, you can also enjoy the resort style amenities at the club house. 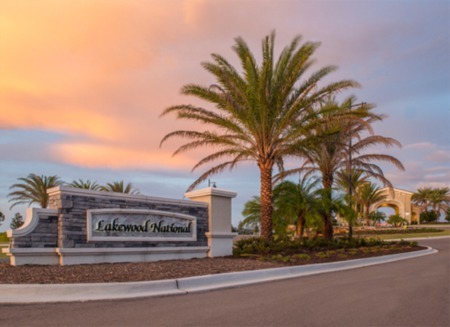 Enjoy this gated community with tennis courts, 2 state of the art fitness centers, billiard room, pickle ball courts, 8 satellite pools, clubhouse with fine and casual dining in a golf community without the fees. 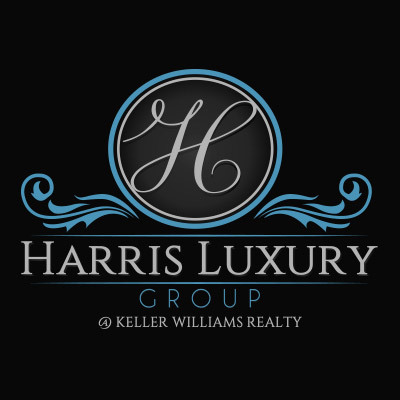 Close to restaurants, shopping and beaches.